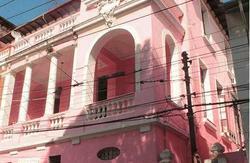 Hostel Copacabana is more than just a hostel. In a clean environment, extremely pleasant and comfortable we are located in a privileged area of Copacabana, near the beach, subways, buses, supermarkets, banks, cafes, restaurants, bars and shopping centers. 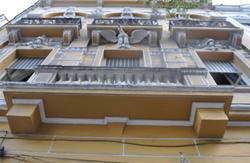 We have a friendly and efficient staff who certainly spare no effort to welcome them and make them feel truly at home, promoting and facilitating the movement and access of our visitors to all that is best in the City of Rio de Janeiro. 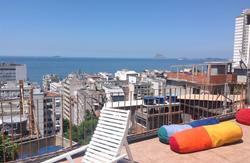 Small blue building, located close to the most famous beach in Rio has 4 floors with 6 shared rooms and 2 suites. Terrace, laundry room, kitchen, private bathroom, living room with TV, two computers with internet and wi-fi. Each private room has cable TV, a minibar, a double bed, bathroom, air-conditioning and ceiling fan. Each dormitory has 6 beds, air-conditioning and ceiling fan.